Red Letter has launched a new set of core values under the moniker SAUCE. “SAUCE” is an acronym for Service, Attitude, Unity, Creativity and Excellence. The Value Statements were developed by a task force consisting of Jessie Renick, Andy Dunaway, Jon Fox, Crystal Hill, and Allison Page. 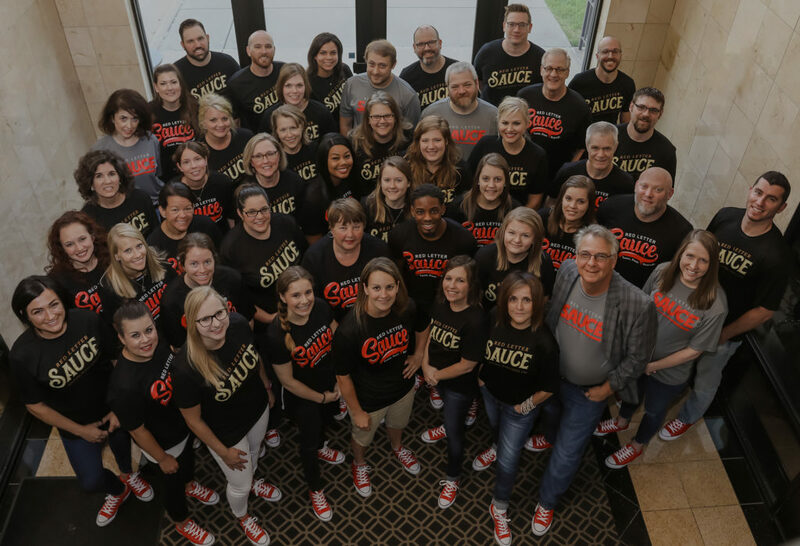 SAUCE was recently launched at a meeting featuring t-shirts and tennis shoes for the entire staff.